In this post, we've listed 4 Foods to Never Eat When Trying to Lose Weight. By Ellie Krasner, Skinny Ms. 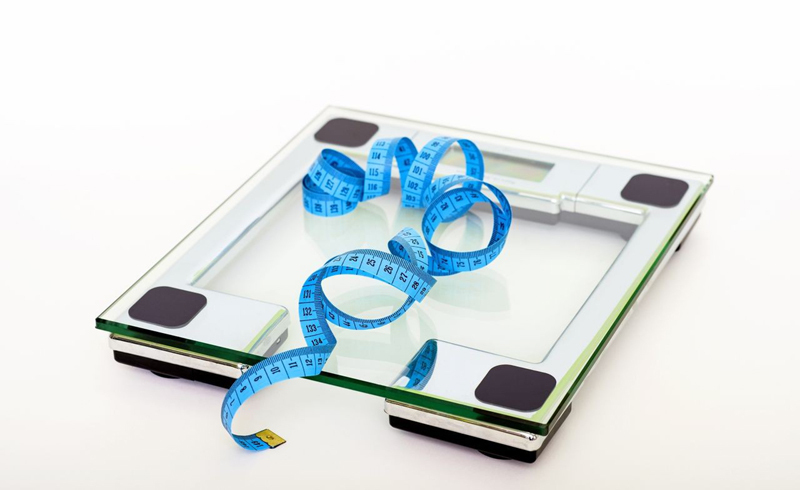 When losing weight, it’s important to give yourself a little wiggle room for indulging. Constant deprivation will only amplify your cravings and complicate your journey, making it just that much more difficult to shed pounds. But although we totally endorse treating yourself to the occasional sweet or embracing some comfort food, (in moderation, of course!) we want to draw your attention to foods you should avoid no matter what. When it comes to slimming down, certain foods can definitely throw a wrench in your progress, and ultimately do deserve the ax. We’ve grouped together a list of edible enemies you should cross off your list altogether. These foods affect your insulin and blood sugar levels, which send false hunger signals to your brain. In turn, this sets the stage for chronic sugar and carb cravings that form the perfect recipe for weight gain. These foods also trigger inflammation like crazy, and they can throw your hormones out of whack. But guess what? Steering away from these foods doesn’t have to mean banning them completely. We’ve listed some delicious, healthier alternatives that mimic these foods, but flaunt clean, feel-good nutritional profiles your body will actually appreciate. Check them out! White bread hangs out so innocently on grocery shelves, tempting millions of customers with its shockingly low price tag. But in reality, the seemingly harmless staple has a damaging dark side. You see, the bran and germ in wheat carry vitamins, fiber, minerals, antioxidants, and proteins, but the enriching process that transforms whole wheat into white bread removes the bran and germ, ultimately destroying these nutrients. The endosperm remains a component that contains mostly simple carbohydrates, which contribute to blood sugar fluctuations and insulin issues. 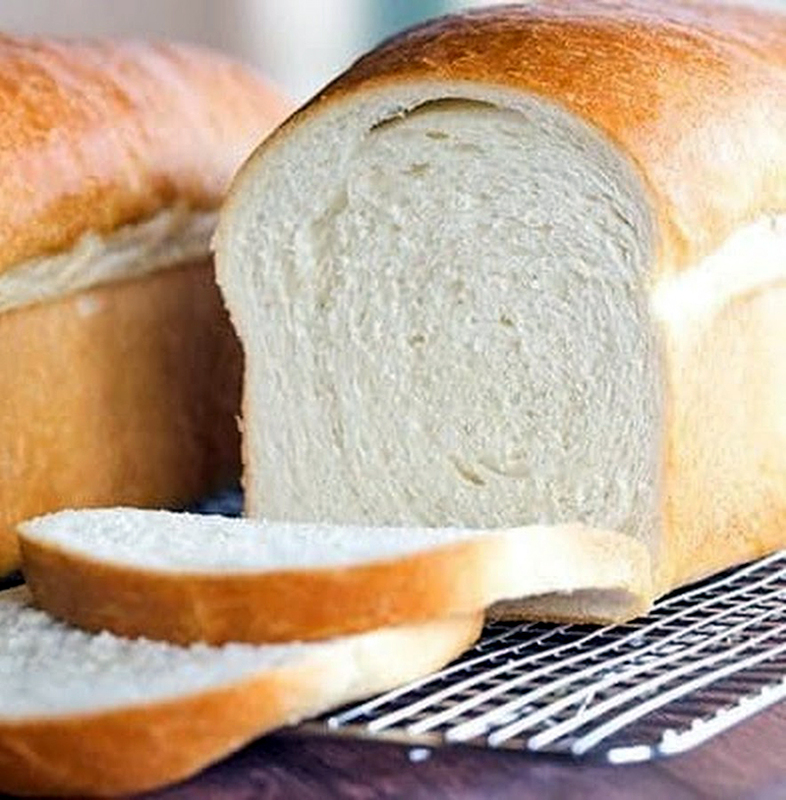 To make matters worse, the bleaching process white bread undergoes adds toxins to the flour. And many manufacturers also throw in harmful additives like high-fructose corn syrup, molasses, and dextrose for flavor enhancers. The bottom line? When it comes to your health, white bread carries an enormous red flag; most people just can’t see it. 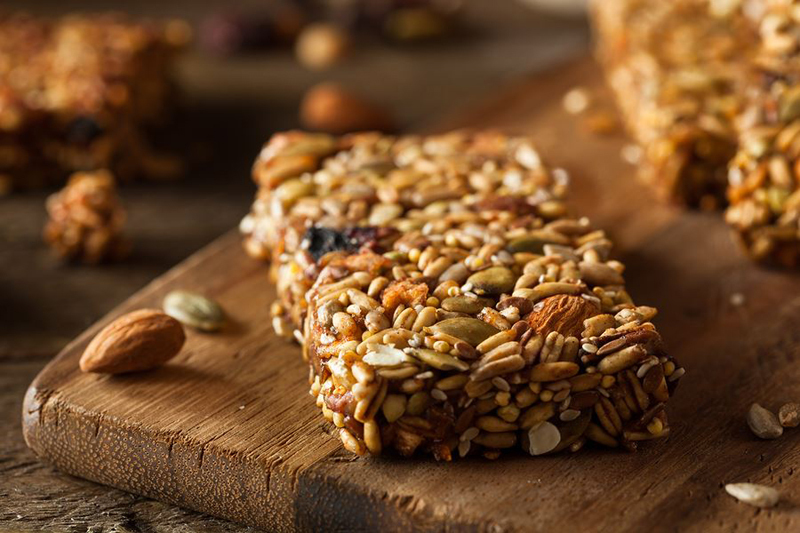 You’re constantly told to boost your fiber intake, but grabbing one of those fiber-fortified snack bars will only damage your health, not improve it. Oftentimes drizzled or dipped in sugary syrups and loaded with chocolate chips, fiber-rich bars are nothing but highly-processed, artificial snacks that contain massive amounts of fiber. These manipulative snacks encourage the delusional thinking that your daily dose of fiber can actually come in candy bar-form. Fiber bars get their fiber from factory-isolated starches or chicory root extract and blend these components with a boatload of white flour and sugars. In reality, you should get your fiber from plant-based foods like whole grains, beans, fruits, and veggies. These clean foods contain antioxidants and other nutrients to help you adequately absorb the fiber and reap all of its benefits. Trying to drop a few pounds? Toss out your fiber bars and check out the 5 Best Sources of Fiber for Weight Loss instead! Juice comes from fruit, so it must be healthy, right? Wrong. The process that transforms fruit into juice leaves the most nutritious, wholesome parts of fruit behind. These segments contain the antioxidants, phytonutrients, vitamins, minerals, and fiber that make fruit healthy. These nutrients, particularly the fiber, slow your absorption of sugars and limit insulin spikes. Their absence triggers blood sugar fluctuations and insulin spikes, ultimately contributing to issues such as diabetes down the road. Even many juice brands labeled “100% pure” or “not from concentrate” undergo thorough processing, and are often stored in huge oxygen-depleting tanks for over a year before they hit your grocery store. This process also strips away remaining nutrients and leaves you with nothing short of sugar water with fruit flavor. 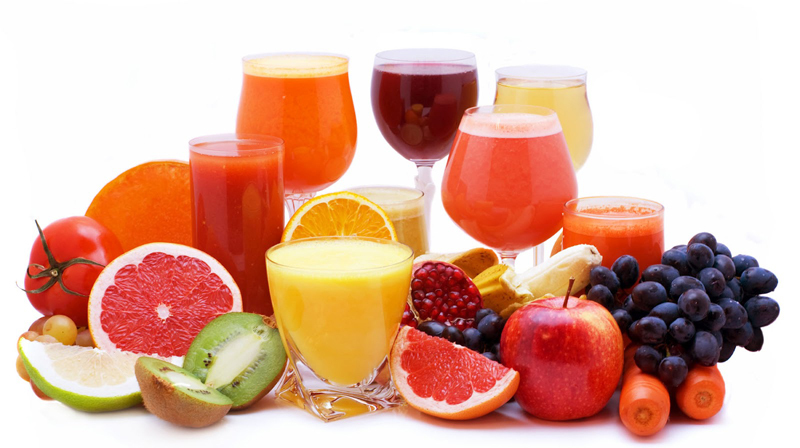 Juicing at home lets you enjoy all the delicious goodness of juice without worrying about your health. Check out these 15 Fab Juice Combinations for Cleansing and Detoxification! These items carry zero health benefits, and you don’t need us to tell you that. However, you might want to know their health risks, and why you should think twice before plunging your spoon into a tub of frosting. As tempting as they may be, store-bought icings and frostings still contain dangerous chemicals and additives you should never consume. 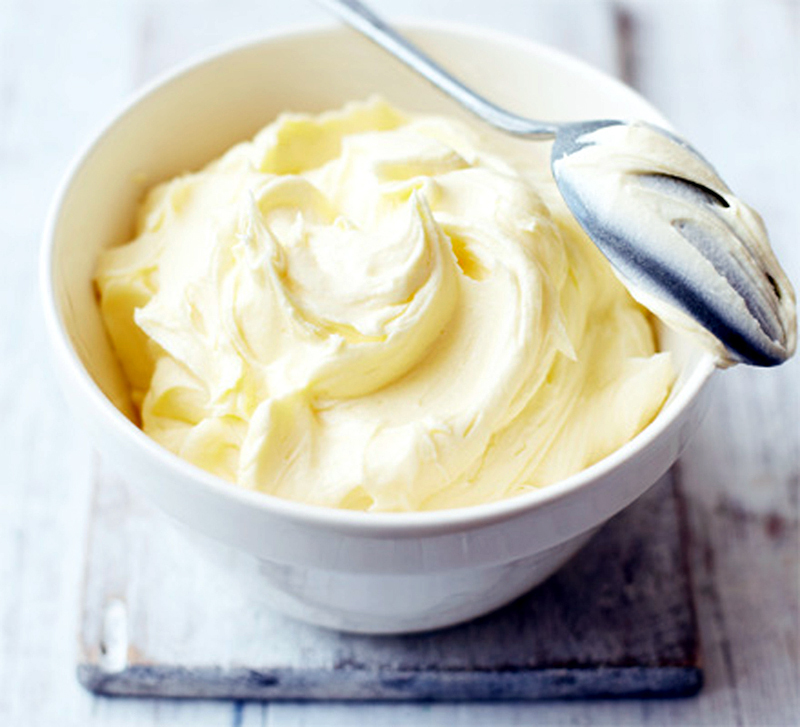 Although they make icing a cake a cinch, these these calorie-rich products oftentimes contain trans fats which increase the level of bad cholesterol in your body. The sickly sweet cake spread actually encourages your body to hold onto fat, especially around the abdomen, making it a dieter’s nightmare.